Loved the venue, it’s an amazing place. 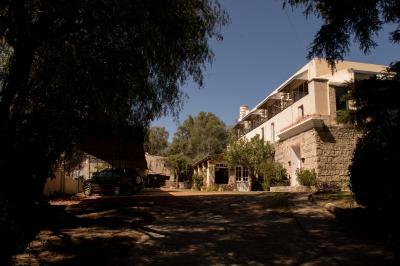 But unfortunately the staff communicated poorly - we asked if our room was available another night and they offered us another room But with shared bed, which was fine with us since we liked the place. Problem was they charged us almost the double as the booking.com price without informing us about that, or being able to answer to our questions afterwards about why it was so expensive and claimed they didn’t really worked there. Also wifi didn’t work at Any time and they said it was a cut in the whole village, Which wasn’t true at all. 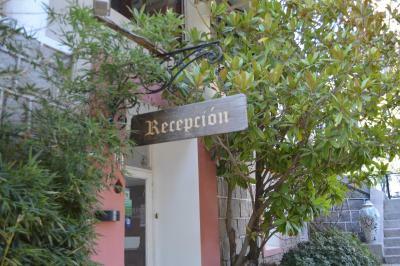 Since internet was down we asked the receptionist if she could help us to make a call to a travel agent in cordoba since we couldn’t e-mail them and she claimed she didn’t know How the phone worked(?!). So, beautiful place but awful service. Me desagrado la actitud de una señora o señorita que me llamo al preguntar por el estacionamiento y por sobretodo remarcando el precio en dólares, esto es argentina y aca existen los pesos, no tendrían que ni siquiera preguntar, otra cosa es el pago solo efectivo yo no soy ladron ni mucho menos al presentarme al hotel solo tuve contactos con las personas que atienden la mesa de entrada y los que limpian y sirven el desayuno y por lo que pude observar esta gente no esta muy conforme con su trabajo están porque lo precisan y punto. 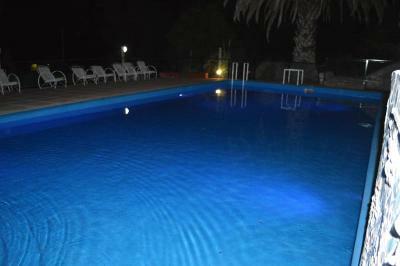 El verde, la pileta, la calidez del trato de los chicos del Staf, muy buena onda y predisposición. 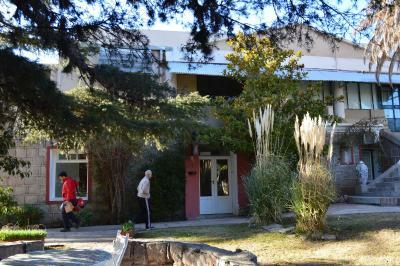 Excelente hotel, mucha tranquilidad, buena onda de todo el personal. La limpieza fue de diez todos los dias. El WIFI andaba excelente, lo destaco porque no es común. La pileta está muy bien, es una buena opcion para este verano. Muy linda la habitación, cómoda y cálida para un momento romántico como el que pasamos con mi esposo en la luna de miel. Muy ricos los criollos de salvado, una verdadera delicia. Los desayunos bien sanos y ricos. Muy buena atención, hermosos espacios verdes. Rico desayuno (la parte de panadería sobre todo). 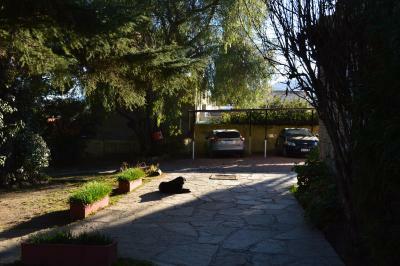 Patio interno y tranquilidad. 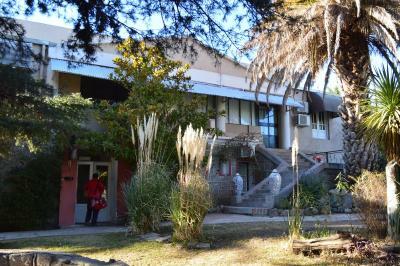 La ubicación, el jardín y el patio. La atención del personal muy buena. Habitación amplia. Hermoso parque. Personal muy amable. Excelente atención, agua caliente y calefacción ok.
One of our best sellers in Capilla del Monte! 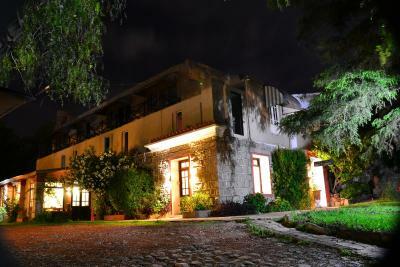 Located in Capilla del Monte, Cerro Uritorco Hotel offers a spacious garden with a swimming pool and rooms with balconies overlooking the garden or hill. Uritorco Hill is 1.9 mi away. 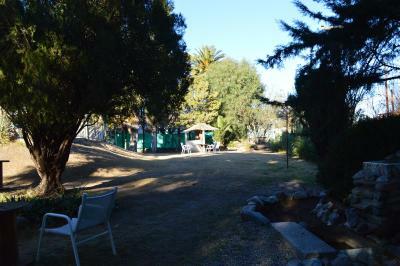 The area's commercial area is 20 feet from the property. 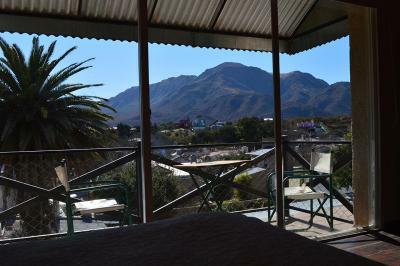 Bright and spacious, rooms at Cerro Uritorco are decorated with tiled floors and exposed-brick walls. All of them have a private bathroom and a satellite-cable TV. They either afford hill or garden views. 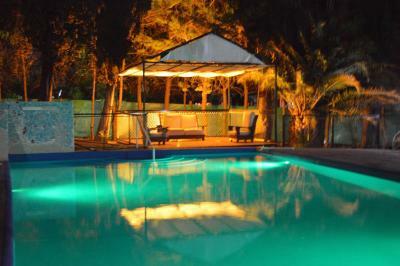 Guests can relax on the sun loungers by the pool, the property also has a solarium. The river is 1.2 mi away, whereas the commercial area is 1,650 feet away. 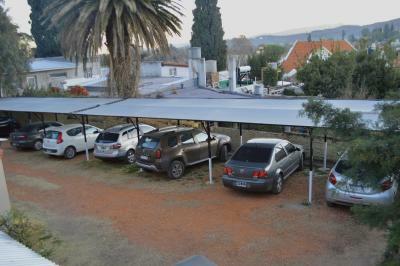 Private parking services are available. 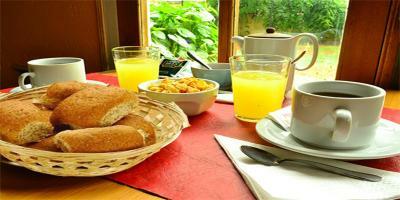 Guests will have a homemade breakfast. 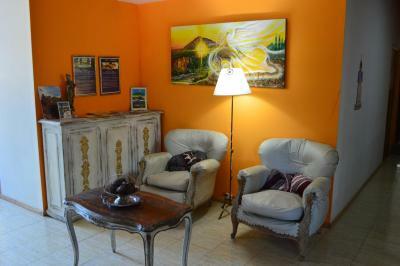 Cerro Uritorco Hotel-Spa is 1,650 feet from the bus terminal and 56 mi from Pajas Blancas Airport. 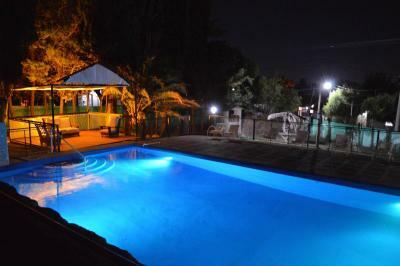 This is our guests' favorite part of Capilla del Monte, according to independent reviews. 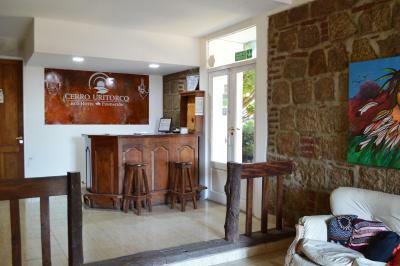 When would you like to stay at Cerro Uritorco Hotel? 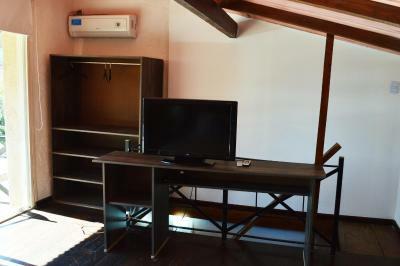 This standard room features a simple design and includes a private bathroom, satellite TV and fans. 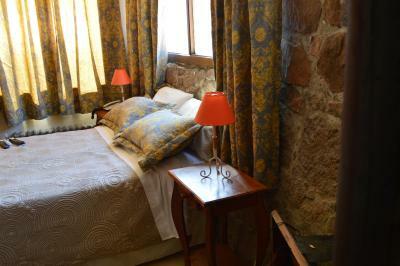 This superior room features stone walls, a private bathroom, a satellite TV and a fan. 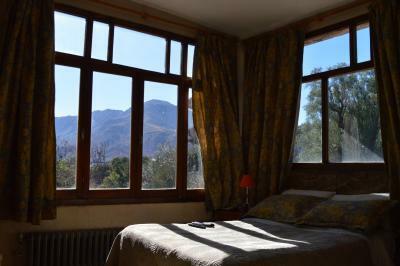 Guests can opt between this spacious room or a duplex room, including a balcony and views of the hills. 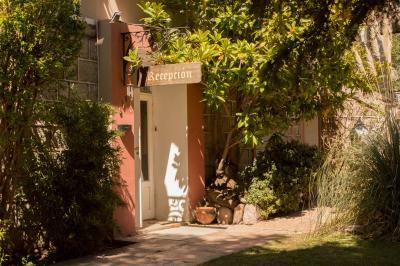 This duplex is fitted with a satellite TV, a twin bed and a private bathroom. Both rooms feature wooden staircases. Features a private balcony with seating area and mountain and swimming pool views. 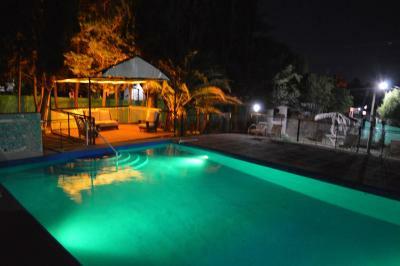 It includes a satellite-cable TV, private bathroom, ceiling fans and 2 bedrooms. 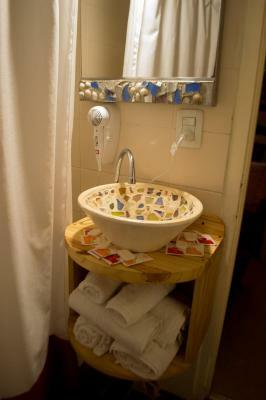 This suite is fitted with a spa bath, a fully equipped bathroom, a mini-bar, a 32" LED TV and a fireplace. 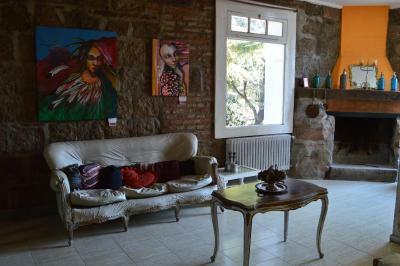 This superior apartment features stone walls, a private bathroom, a satellite TV and a fan. 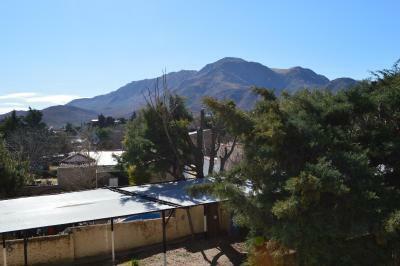 Guests can opt between this spacious apartment or a duplex apartment, including a balcony and views of the hills. This duplex is fitted with a satellite TV, a twin bed and a private bathroom. Both rooms feature wooden staircases. 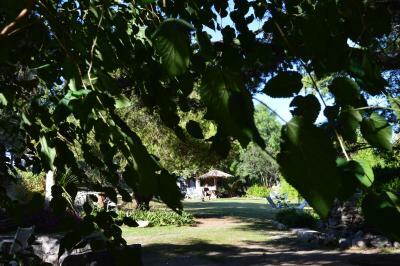 House Rules Cerro Uritorco Hotel takes special requests – add in the next step! 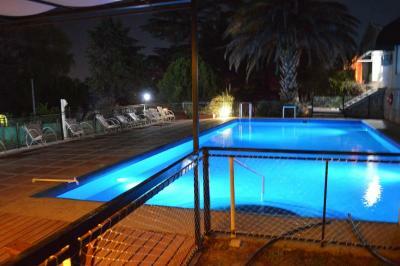 Please note the pool will be open from November 20th. 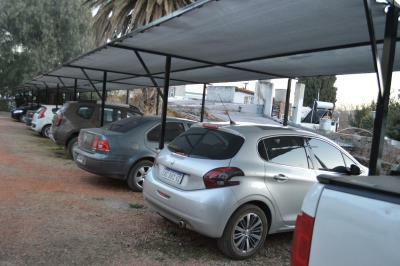 Note that parking is free during low season and available for a fee during high season. 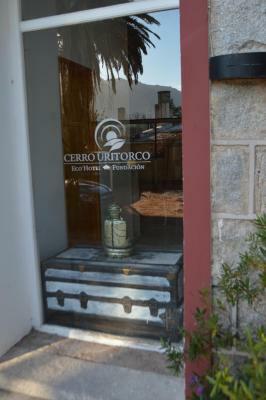 Please inform Cerro Uritorco Hotel of your expected arrival time in advance. You can use the Special Requests box when booking, or contact the property directly using the contact details in your confirmation.